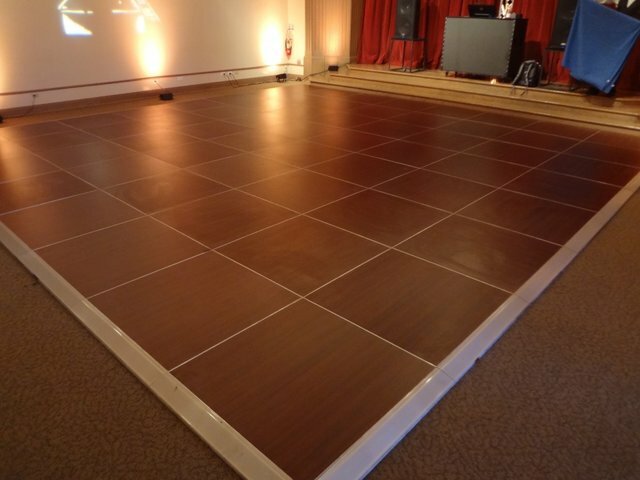 A portable oak dance floor with parquet pattern, urethane finish. available in many section sizes and configurations. Choose the size that best fits your party. Any questions, your Step It Up Represenitive will help.